A revocable trust-centered estate plan offers many benefits a plain old last will and testament can’t. Trust-centered plans are better for clients and make your work easier. Understanding the benefits of trust-centered planning will position you as the trusted advisor who can spot the issues and implement solutions. Assets will be kept private so your competitors and other predators don’t know who inherited what and how to contact them. Avoiding probate often reduces settlement costs significantly, leaving more assets for beneficiaries and for continued management. Assets held in trust can be protected against dissipation from lawsuits, divorces, bad decisions, and addictions, and these assets need continued management. Clients will value your help in keeping their assets and family out of guardianship and probate courts. Clients will value the importance you place on keeping their final wishes private. Clients will appreciate your comprehensive approach to their financial planning and refer family and friends. You will be able to immediately work with an incapacitated or deceased client’s trusted family member or friend rather than waiting until the court decides it’s okay to get started. You will become the trusted advisor who sees the big picture and knows all of the pieces of the client’s financial and estate plans. #1 – Revocable Trusts Help You Faithfully Implement Your Investment and Distribution Strategies. Custodians freeze accounts owned individually by a decedent, which can complicate your asset management process, especially if you’re tactical or are making periodic distributions. But revocable trusts with co-trustees or successor trustees can be managed seamlessly, without the need to open another account and transfer assets. #2 – Revocable Trusts Simplify Management of Illiquid Alternative Assets. This is especially true of real estate, private equity, and private debt. Normally it is much simpler to alert an issuer/sponsor about a change in the acting trustee(s) than to retitle such assets, especially since many sponsors fail to offer Transfer on Death provisions. And, if these investments are spread across multiple states, a revocable trust also avoids opening probate in each jurisdiction. #3 – Revocable Trusts Reduce Paralysis or Rash Changes During Times of Grief. Grieving surviving spouses often either suffer decision-making paralysis or opt for wholesale investment strategy changes. By holding assets in trusts, you lighten such clients’ decision-making load during a stressful time, and help them avoid rash changes instigated by new account and transfer paperwork. Depending on the mix of assets and the current market price, premature liquidation may produce a disappointing outcome. #4 – By Helping Surviving Clients Avoid Rash Changes, You Add Tax Alpha. While all the assets in some revocable trusts may enjoy a step-up in basis, in many cases those notionally owned by the surviving spouse will not. If their basis is low and a surviving spouse opts for a wholesale sell-off, it may lead to unnecessarily large capital gains taxes. Wills and trusts are similar, but the opportunities that a trust provides make it the superior planning tool for virtually everyone. #1 - Act as a Disability Plan. A revocable trust provides protection during three phases: what happens while the trustmaker is alive and well, what happens if the trustmaker is alive but not so well, and what happens after the trustmaker dies. It’s during the second phase that the trust really outshines a will – if the trustmaker becomes incapacitated, the disability trustee can step in and take care of things immediately and without court intervention. This keeps the trust property under control of a trusted family member or friend instead of a guardianship judge. #2 - Keep Assets Outside of Probate. Probate is a time-consuming and costly court-supervised public process. A will-focused estate plan lands heirs squarely in probate court. A trust-focused estate plan allows the settlement trustee to step in and carry out the trust maker’s final wishes without any court involvement or oversight. #3 - Keep a Minor’s Inheritance Outside of Guardianship. A minor who is named as the beneficiary of a life insurance policy, IRA, or payable-on-death account will require a court-appointed guardian to manage the property until 18. On the other hand, a trust for the minor can be created in a revocable trust and named as the beneficiary of the policy or account. This allows the client to decide how long the trust will continue – age 25 or 30, or even the beneficiary’s lifetime – not just until 18. #4 - Keep Final Wishes Private. A will filed for probate becomes a public court record, which means anyone, including predators and your competitors, can go down to the local probate court and read wills and other probate documents. On the other hand, a revocable trust is a private document that remains confidential during life and after death. As always, we are available to answer your questions about revocable trusts and meet your clients and prospects who are considering ditching theirs or whose will just isn’t going to provide the protections they need. 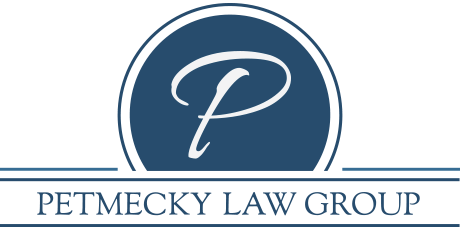 If you have a trust you’d like us to review or any estate planning questions, please call.